Days 6, 7, 8 & 9 of #Juneathon – not slacking I promise!! OK so I might’ve slacked off a bit with the blogging side of things over the last few days, but I’ve not been slacking on the exercise, I promise! It’s been a busy week and I’m really missing my lil pud so not liking spending too much time at home at the mo. Being busy helps. After work he joined me and my workmates at our laser quest children’s party – yes I said ‘children’s party’. 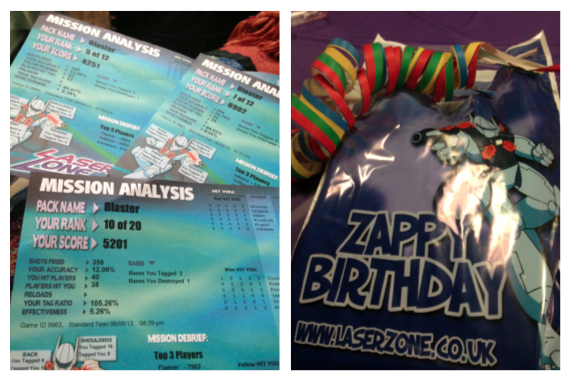 Think three games of laser quest with pizza, unlimited squash and party bags thrown in! 😀 We’ve done this before as a work social, and it’s always really good fun. Not to mention great exercise – lots of running around and forced squatting/crawling etc. whilst shooting the hell out of everyone. I came 5th and then 7th out of 12 in the first two games (a LOT better than the last time I played when I came last), and then 10th out of 20 in the final one, so not too shabby. Early morning bootcamp again for Friday – this time down on Hove Lawns by the seafront. I love doing bootcamp outside, especially in the morning when the sun is out and it’s all nice and fresh. Really sets me up for the day, and sort of justifies sitting on my arse at work for eight hours. Having warmed up with laser quest on Thursday, part two of the boy’s birthday involved three hours of military combat in the woods with approximately 1,000,000 blokes and about four girls (me included). 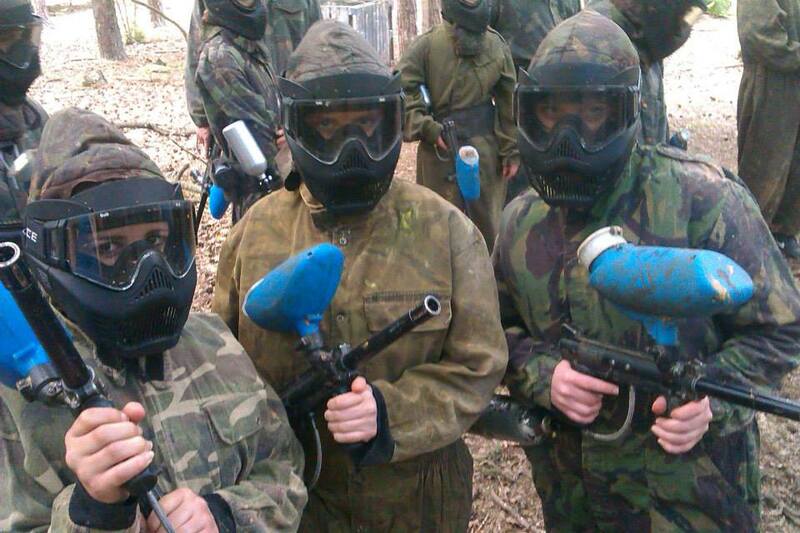 I’ve never done paintballing before, (my only knowledge of it was mostly taken from Spaced), and I was pretty scared when we got there and the high male:female ratio became clear. People had told me that it hurts – something that the various perfectly circular bruises dotted around my body illustrate only too well. Our group was split up as there were two massive groups against each other. We played four games with different strategies – taking flags etc. from the opposition’s base and stuff like that. 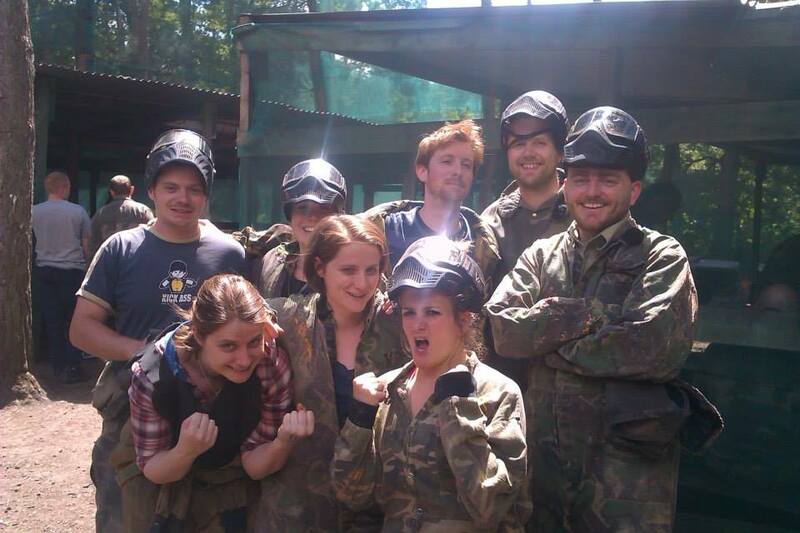 It was loads of fun, but very different (and more painful) than laser quest (obviously). Still, lots of running/crawling around through the woods, and a great way to get some exercise in for Day Eight of Juneathon. Now I’m not a cheater or a skiver in any way shape or form, but I have to confess the most exercise I’ve done today is walking to the pub for a late breakfast before getting the train/driving back to Brighton from London. Will get back on it properly tomorrow.